Technology has advanced at a dizzying speed—this is the digital age, after all. It was universally embraced and commonplace long before anyone stopped to say, “Wait a minute . . . things are going sideways—what are the rules here? And, what are the possible dangers and pitfalls of using technology, especially for our youth?” Let’s take a look at one of the unfortunate consequences of technology misuse—cyber bullying—and the steps we can take to guide students in becoming responsible digital citizens. From an educator’s view, cyber bullying involves one or more students who use the internet or electronic devices to intentionally put down, harass, intimidate, or harm another student. In the news (or maybe even personally), we’ve seen how the electronic transmission of deliberate offenses can cause far-reaching and devastating consequences. According to the 2011 National Youth Risk Behavior Survey, 1 in 6 U.S. high school students were bullied through e-mail, chat rooms, instant messaging, websites, or texting in the previous year. Our best defense against all forms of technology misuse is to provide appropriate-use education early and often—quick intervention is key. Reduce bullying at school by equipping teachers with the tools to handle cyber bullying online and in the classroom. How is cyber bullying different from traditional bullying? Cyber bullies can remain faceless and nameless. They can also use more vicious language due to anonymity. Victims are at a major disadvantage—they’re sometimes not readily seen as victims because the behavior is remote in online occurrences or text messages. The audience size can be significantly larger than with traditional bullying. Harmful bystanders can cause further damage by forwarding the email, message, or picture. Because it’s not a face-to-face interaction, cyber bullies feel free to engage in this behavior and can inflict harm without seeing their victim’s reaction or fearing consequences. Cyber bullying can occur at any time of the day or night. Digital citizenship refers to the social responsibility and appropriate behavior required for optimal coexistence in the digital world. Well, that’s the definition, but in practice what’s commonly accepted seems to override good manners. The problem is that students communicate on social networking sites without knowing the rules or responsibilities. And when bad behavior is modeled on social media day after day, what can we do to help students develop and choose appropriate conduct when operating in the digital realm? How can you provide a safe and healthy “cyber climate” on your campus? Promoting digital citizenship is a good first step in prevention of cyber bullying. 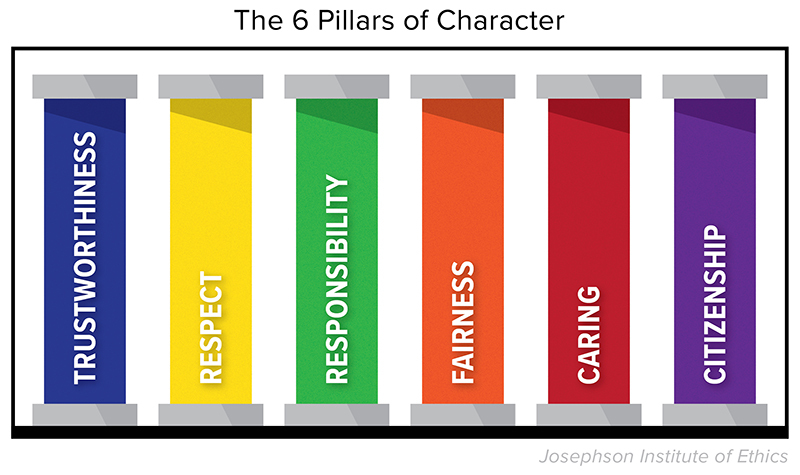 As we mentioned in 8 Ways to Empower Bystanders of Bullying, The 6 Pillars of Character (see below) provides a good segue into an open and honest conversation with students about their online presence. Highlighting the pillars of Respect, Caring, and Citizenship can lay the foundation for lessons about what’s acceptable and not acceptable. Ask students to take a pledge to act online as they would in person. Another great reference that delves deeper into other aspects of digital citizenship is Digital Citizenship in Schools – Second Edition (Excerpt) by Mike Ribble. This article has sound principles for responsible technology practices and gives scenarios of appropriate and inappropriate uses. What are schools and organizations doing to address cyber bullying? The harmful nature of bullying and cyber bullying seems to have everyone’s attention. Safety in schools has increasingly become the focus of legislative action. 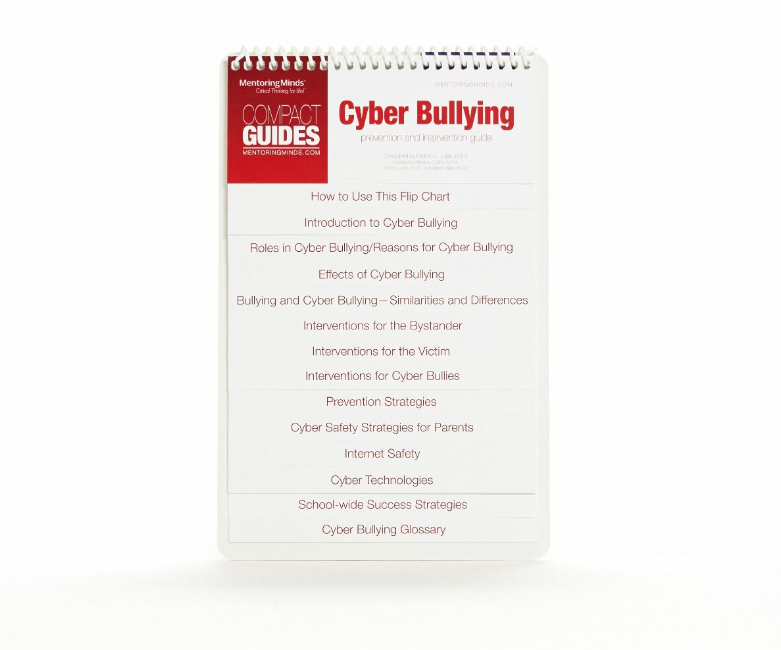 Government agencies and private organizations alike have created a host of cyber bullying prevention and intervention solutions for students, parents, and schools, such as state-specific laws, online safety information, helpful phone apps and games, and anonymous reporting resources. Provide an anonymous reporting tool, such as Colorado’s “safe 2 tellTM” that helps students feel they have a place to turn and empowers them to fully participate as supporters of digital citizenship. It also allows all parents and community members to help keep kids safe by reporting any suspicious online behavior, including harassment, threats to harm others, suicide, stalking, or potential abuse of a child. Share the FTC video with students about how to stop cyber bullying. It all goes back to the golden rule—do to others what you want them to do to you. Engage younger students with this AT&T free internet game that asks them to help Captain Broadband find the nasty character sending yucky emails and asking for information that’s none of his business. This interactive game is very relatable to tech-savvy youngsters. Explore Growing Wireless, a list of organizations and experts offering information on wireless safety for kids and families. Get students involved in the solution. This is a major concern for everyone—students, parents, teachers, community leaders, law enforcement officials, and legislators. But it’s no surprise that young people have more influence with their peers than anyone else. Have you discussed cyber bullying with your students? Let us know how those conversations went in the comments below! Sandra Love, Ed.D., is the Director of Education Insight and Research for Mentoring Minds. A former elementary principal and recipient of the National Distinguished Principal Award, her 37 years in public education ranged from elementary to middle school to higher education. Dr. Love has authored numerous articles and develops educational resources on critical thinking and instructional strategies.